The hot-selling 2015 Cadillac SRX 5-passenger midsize luxury crossover SUV adds standard OnStar with 4G LTE connectivity and in-car Wi-Fi. 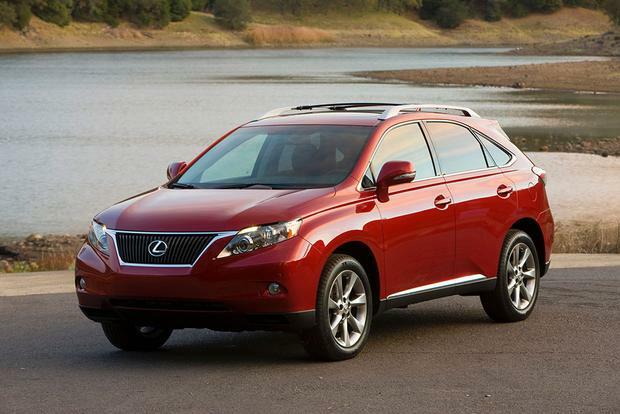 2015 Cadillac SRX vs. 2015 Lexus RX: Which is Better? We're comparing two popular luxury SUVs -- the Cadillac SRX and Lexus RX -- to find out which one is better. 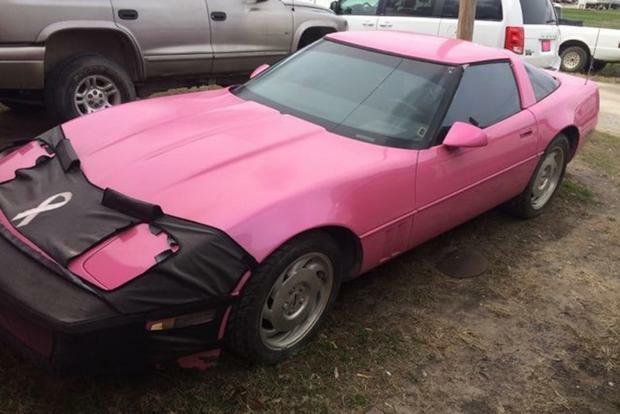 Here are seven really, really pink cars you can buy today on Autotrader. The stylish, 2013 Cadillac SRX SUV introduces the CUE in-vehicle user experience, replacing buttons with smartphone-like touch controls. We like nearly everything about the 2015 Cadillac SRX. The standard 308-horsepower V6 engine, for instance, offers just enough muscle and passing power to make the SRX a pleasure to drive. 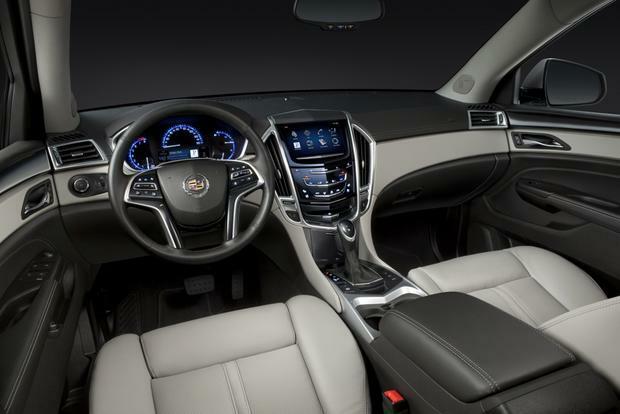 Cadillac's CUE system is mostly intuitive, and we appreciate that it's now standard in any SRX trim level. We appreciate the SRX's styling, and we're certainly grateful for the SUV's long list of standard equipment. Admittedly, we have a few gripes here and there. The biggest one is visibility. Owing to the SRX's bold styling, the window's beltline comes up extremely high near the back of the SUV, resulting in awkward rear visibility. We also know we're not alone when we say that we wish the SRX had a third row in back like the original model did, and we think the rear seats can be a bit cramped. Still, those are small gripes when you consider the SRX's long list of positive traits, which is enhanced by the addition of newly available 4G LTE Wi-Fi hot spot capability for the latest model year. 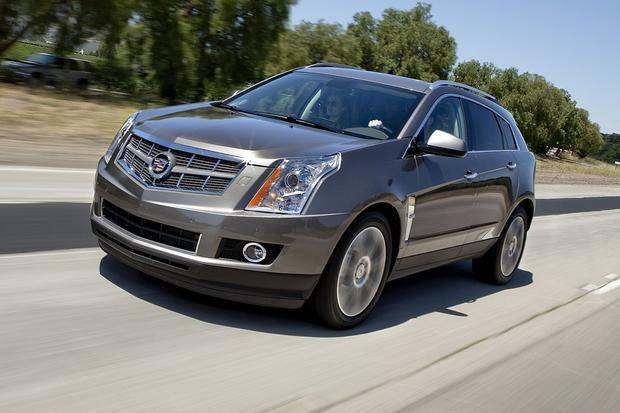 The SRX receives only minor changes for the 2015 model year. The biggest update is a new 4G LTE connection with Wi-Fi hot spot capability, which is now standard on all SRX models. Otherwise, changes are limited to new colors and the elimination of an SD card slot in the center control stack. 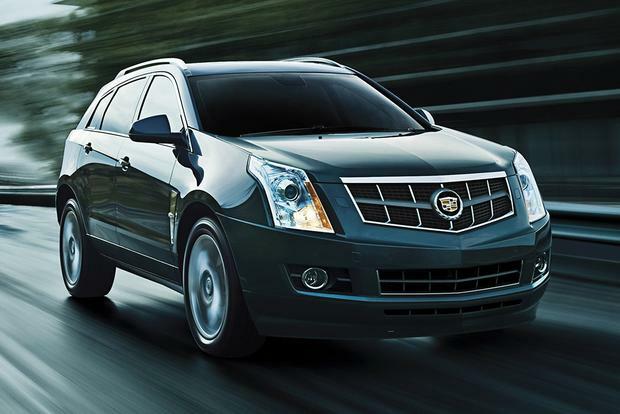 The SRX's sole powerplant is a 3.6-liter V6 engine, which makes 308 hp and 265 lb-ft of torque. It's mated to a 6-speed automatic transmission. Front-wheel drive is standard; all-wheel drive is available. Although Cadillac uses the same engine in its CTS sedan, the heavier and less aerodynamic SRX is not as fuel efficient. It's rated at 17 miles per gallon in the city and 24 mpg on the highway with 2-wheel drive or 16 mpg city/23 mpg hwy with all-wheel drive. The SRX comes in four trim levels: an unnamed base model, mid-level Luxury and Performance trims, and the upscale SRX Premium trim. Even the base-level SRX ($38,600) has a lot of standard equipment. Features include 18-inch alloy wheels, dual-zone automatic climate control, automatic headlights, front and rear parking sensors, leatherette upholstery, new Wi-Fi hot spot capability, and Cadillac's CUE system, which includes an 8-in touchscreen with apps, GM's OnStar system and Bluetooth connectivity. Step up to the SRX Luxury ($44,600), and you get keyless access with a remote starter, a rearview camera, a panoramic sunroof, a rear cross-traffic alert system for backing out of tight parking spots, rain-sensing wipers and a power lift gate. The SRX Luxury also includes dual power seats with driver memory, leather upholstery, heated front seats and a heated steering wheel. Next up is the SRX Performance ($47,000), which offers a sporty flair. It boasts 20-in alloy wheels, a sport-tuned suspension for improved handling, fog lights, a Bose audio system, and adaptive headlights that swivel when you turn the wheel. Performance models also include Cadillac's voice-activated navigation system as standard equipment. 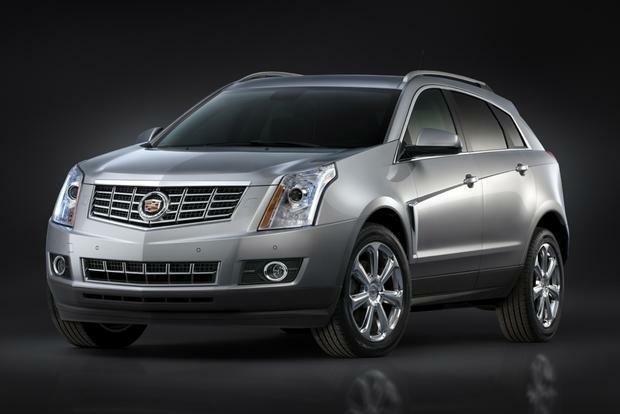 Topping the lineup is the SRX Premium ($49,900), which adds the optional Driver Awareness package as standard equipment. That package adds Cadillac's IntelliBeam lighting system, along with a lane-departure warning system, a forward-collision warning system, and a Safety Alert driver's seat that lets you know if you're drifting into another lane. SRX Premium models also feature heated rear seats, ventilated front seats and tri-zone automatic climate control. On the options list, there's a rear-seat entertainment system with dual rear screens, a towing package and the Driver Awareness package, which is available on Luxury and Performance models. The SRX comes standard with anti-lock brakes, traction control, stability control, front and side airbags, and OnStar's immediate response system. In Insurance Institute for Highway Safety testing, the SRX received a Good rating in all areas. In government testing, the National Highway Traffic Safety Administration awarded the SRX a perfect 5-star rating, giving it five stars in side-impact tests and four stars in frontal and rollover assessments. Beyond its standard features, the SRX can also be equipped with optional driver-assistance technologies such as a lane-departure warning system, forward-collision warning, adaptive cruise control and Cadillac's IntelliBeam technology. Another newly available feature, Cadillac's Safety Alert seat, provides the driver with warnings without alarming others in the vehicle. A blind spot monitoring system, rear cross-traffic alert and a backup camera are included on all but the base model. The SRX seems to be among the nimblest and sportiest offerings in its class. Steering is responsive, yet light enough for easy in-town driving. The transmission does a great job of keeping the engine in its optimal power range. When a downshift is needed, the transmission is happy to oblige, even in automatic mode. If you'd prefer to take control, there is a manual mode that lets you select the gears yourself. There's also a Sport mode that provides a more lively driving style while letting the automatic transmission do the shifting. Fit and finish inside the SRX is quite good, as has become the standard for Cadillac. There's plenty of technology, especially with the addition of CUE as standard equipment. Materials are soft to the touch pretty much anywhere that the hand can fall. Legroom is ample in both the front and back, and headroom is decent as well, unless you opt for the panoramic sunroof. It is a nice addition and provides a great view of the outdoors, but the pocket needed to hide that expanse of glass cuts into rear headroom noticeably. Six-footers will find their head touching the headliner, and even those who are shorter may feel cramped. 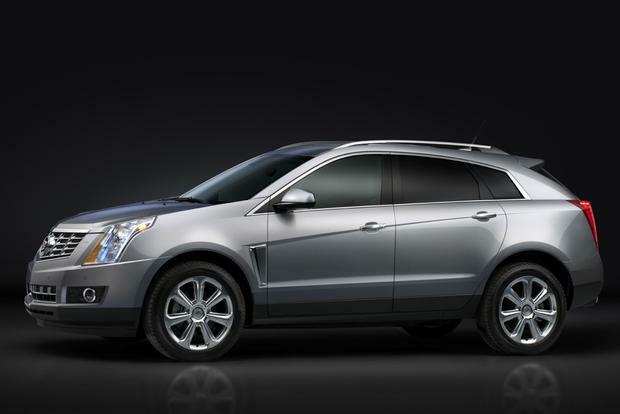 Speaking of cramped, the high beltline that gives the SRX its aggressive exterior look leaves little room for windows. The effect is that the interior feels slightly claustrophobic, and visibility is compromised, too. Acura RDX -- With a base price of just over $35,000 with shipping, the Acura is less expensive than the SRX, but we prefer the driving characteristics and refined interior of the Cadillac. Audi Q5 -- The Audi's price is nearly the same as the SRX's, but at each trim level, the SRX offers more for the money. The Q5's interior finish is hard to beat, but the Cadillac packs more advanced technology. Lexus RX 350 -- The RX 350 makes a strong case as the vehicle that invented the class and continues to lead it, but with the sweet V6 and the innovative CUE system, we believe that the 2015 Cadillac SRX may now have what it takes to dethrone the Lexus. If you're looking for a sporty crossover, we recommend the Performance model. It includes navigation and is eligible for a long list of extras, from the optional Driver Awareness package to the rear entertainment system (a must for family road trips). Our next choice is the Luxury model. One step down from the Performance trim, it includes helpful features such as a backup camera and front and rear parking sensors. 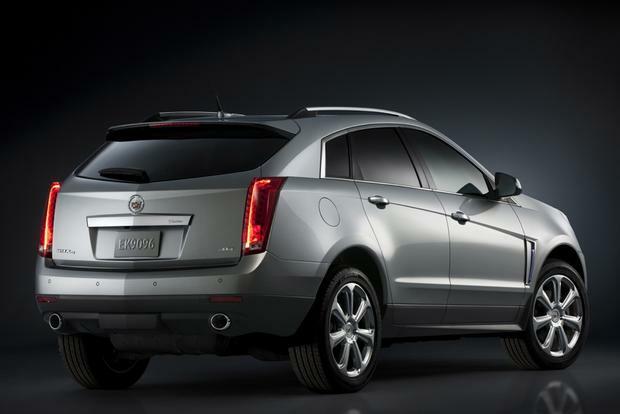 Also, its power lift gate and memory seats are must-haves on a luxury crossover like the SRX.